Download in Adobe PDF format. Whether you are renting a house or apartment, there are many steps you can take to cut energy waste and lower your energy bill. Heating and cooling your home or apartment can account for up to 50% of your home’s energy use. By making a few simple changes, you can cut energy waste, reduce your electric usage and lower your monthly bill. Only heat the rooms you are using. Close off unused rooms to warm a smaller area. Keep the area in front of the heaters free of furniture and drapes. Many baseboards are installed directly under a window. Reduce heat loss through the window by installing a plastic window kit. Plastic window kits are inexpensive, easy to install and can be removed in the summer. Many baseboard and wall heaters have a minimum setting of 50 degrees. We recommend keeping your house at least 55 degrees to prevent frozen pipes and mildew problems. If you need to shut the heat off completely, you can do so at the breaker. 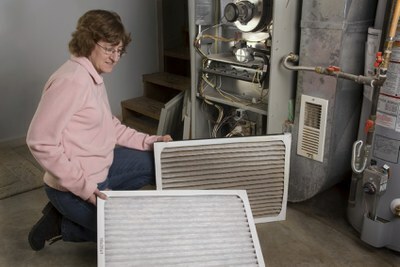 Clean or replace your furnace filters monthly. Don’t block registers or cold air returns with furniture or drapes. Check to make sure you can feel air coming out of each air vent. If not, you may have a disconnected duct that needs repair. If you only use one or two rooms at night, turn the furnace down and use a plug-in heater. Close the doors to any unused rooms. Using less hot water will not only save on energy costs, but you will reduce your water bill and help preserve natural resources, too. Install a low-flow shower head and low-flow faucet aerators. Only use the dishwasher when it is full. Use the Energy Saver wash cycle, and air dry to save even more. If you hand wash your dishes, don’t let the water run. Fill a large bowl with soapy water for washing and give dishes a quick rinse. If you have laundry machines, wash and rinse your clothes in cold water. Today’s detergents work well in cold water. Today our homes are filled with electronic gadgets of all kinds. Because these products have become such a natural part of our lifestyle, we often forget how much energy it takes to operate them. These expenditures can account for up to 20% of the electricity consumed in your house. Replace burned out bulbs with LEDs. 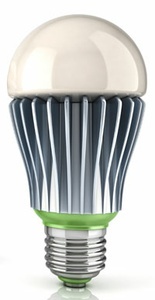 These bulbs use a lot less energy than incandescent bulbs and they last longer, too. If your purchase a new electric device, check for the ENERGY STAR® label. Unplug, or use a power strip, to cut all power to your electronics when you are not using them. TVs, stereos, gaming consoles and computers continue to draw a small amount of power, even when they are turned off. Cook your meals in the microwave or use a plug-in skillet instead of your oven or stove top.